I just passed the ICND exam (640-811) today with a 935. I had previously taken the INTRO exam (640-821) and passed that. I was enrolled in the Cisco Network Academy at a local college and I felt it really prepares you for the exams. I spent all of Sunday reading chapters from my textbooks and my notes. The CCNA Flash Cards book I bought at Barnes & Noble really helped out as well. Now I'm going to try to get my Net+ pretty quickly and an A+ as well. Then I'll try some Microsoft stuff. How many questions and ssimulations did you get on the exams? Congrats on passing! I take the 640-801 in 2 weeks. 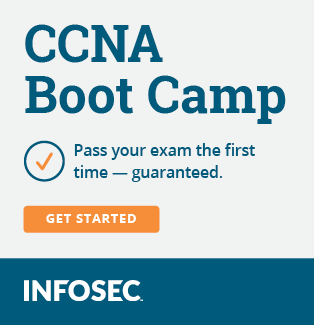 After getting your CCNA your net+ will be a breeze. You probably wouldn't even have to study. I took my net+ and the content that is covered just scratches the surface on what the CCNA covers. Plus you only need 646/900 to pass. A+ in my opinion was a lot harder. I think its because the content is based on what Micro$oft has done over the years rather than well thought out standards, so that stuff actually works. Good luck on your future exams!